Members of the Saskatchewan Government Employment Union have voted in favour of a strike mandate. The vote took place across the province throughout the month of July. SGEU says the vote doesn’t mean there will be immediate job action, they are hoping employers will return to the bargaining table. “This mandate sends a strong, clear message to government that our members are serious about achieving a fair and reasonable collective agreement that protects their rights and improves their wages and benefits,” said Barry Nowoselsky, chair of the PS/GE Negotiating Committee in a written release. 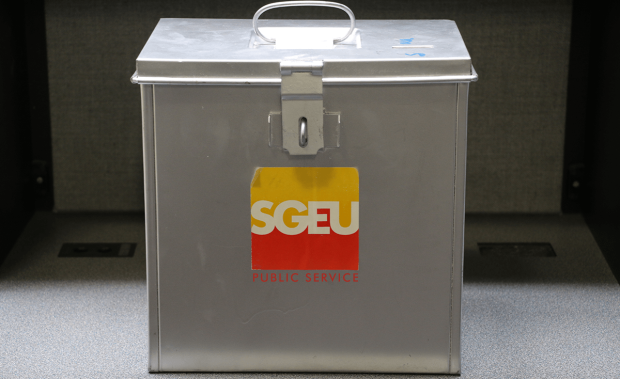 SGEU members have been without a contract since Sept. 30, 2016. Bargaining began in October 2016, and a tentative agreement was presented in February 2016. Union members rejected the temporary offer in April. When the two groups returned to the bargaining table, SGEU says the government was unwilling to negotiate any further. A strike would impact 12,000 government workers, including wildfire fighters, lab technicians, corrections officers, social workers, highway workers in more.